We obtain the official certificate and provide you with a legally required customized operating agreement that you will need to open a bank account. You will need a federal ID, the LLC certificate and the operating agreement to open an LLC bank account. An LLC will protect the business and the owner's personal assets as well as save on taxes. We obtain the official DBA certificate, publish the filing in a legal newspaper, file a proof of publication. If you don't file an LLC or corporation, you will need to file a DBA to register the business name. You also need it to open a business bank account and use stationary such as letter heads and business cards with your business name. Seller's Permit ( Sales, Resale, Reseller Tax ID) Permit. We obtain an official EIN certificate from the federal government. All businesses need an EIN except sole owner's that are not independent contractors. This is similar to a Federal EIN except that it is from the state and you need both if you are an employer. We obtain an official SEIN certificate from the State Government. We obtain the official certificate and provide you with a legally required customized bylaws that you will need to open a bank account. You will need a federal ID, the corporation certificate and the bylaws to open an LLC bank account. An corporation will protect the owner's personal assets as well as save on taxes. Business License also called a Home Occupation License. Whether home, online, mobile, store or office, this is a general license that all business must obtain. It is a general business tax registration ( as opposed to income, sales, employment or use tax). If you are a home business, you may need a home occupation license and a business license or one or the other. It depends on your state. Vendor's License, Peddler's License, Business Permit, Business Personal Property Tax. You may need one of these depending on your situation. You may need it in addition to a general business license or you may just need this one. Namely, a vendor's peddler's, business permit or business personal property tax registration. We can set you up as a sole proprietorship, partnership, LLC (Limited Liability Company) or corproation. We can help you get an EIN, State EIN, State Sales Tax ID, Tobacco ID, and a Business tax Filing ( Business License). If want to buy items wholesale or sell retail, you will need a reseller ID ( seller's permit). Employers need both a federal EIN and a State EIN. We can help you get an EIN, State EIN ( State Employer Identification Number ). You need to pay federal and state taxes. Setting up DBA, LLC, Corp.
We can help you get a DBA Certificate. If filing as an LLC or Corp., a corp certificate or LLC certificate. If you set up an llc, you don't need a dba because a dba is the Filing of your business name. If you going to use more trade names, you can file them on the same dba or file dbas under the LLC or corporation. Partnerships that do not set up as LLC or Corporation, need at least both a DBA and an EIN. If you are going to make any serious money such as more than $50,000 per year, you may want to form an LLC or coproration. 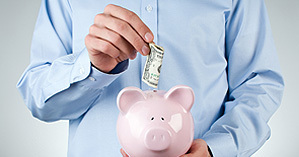 It is the best to help you save on taxes and protect you from personal liability. We help you obtain all licenses, tax registrations, LLC, DBA Corp.
All businesses need to obtain an occupational business license. All businesses must register a trade name. Instead, you can file an LLC..
All businesses that buy/sell wholesale, sell or retail, must get it. Pricing / Fees Get It Now!